Leaf is a manufacturer of digital camera backs and integrated cameras for professional photographers. Founded in 1984 in Massachusetts, Leaf's main branch was created in 1997, starting in Israel. 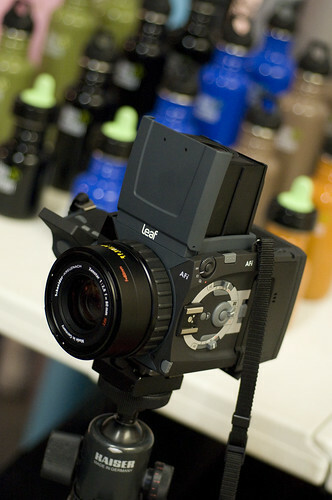 Leaf, together with its parent company Creo, was acquired in 1996 by Kodak. The company was bought by its Danish competitor Phase One in 2009, and describes itself as 'a Phase One company' on its website. Meanwhile Leaf has been merged with Mamiya. ↑ 'About us' on the Leaf website (archived). This page was last edited on 15 March 2018, at 06:34.